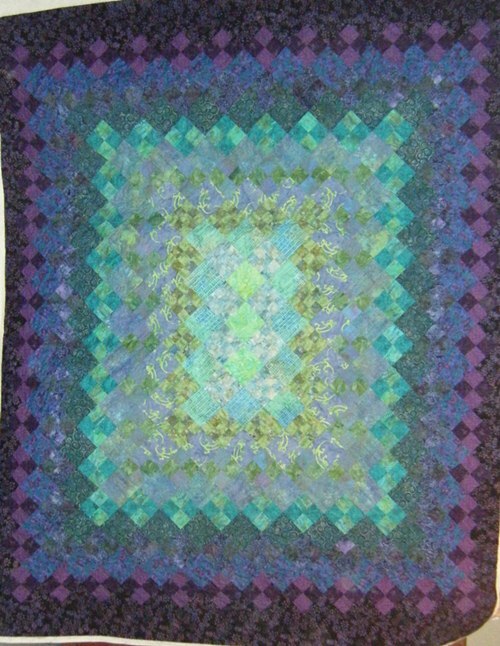 This quilt by E is for her son for Christmas. I was thrilled to be able to help her and I had it done for her to pick-up the first of December. The batiks she used were stunning and she has a good eye for color & design. 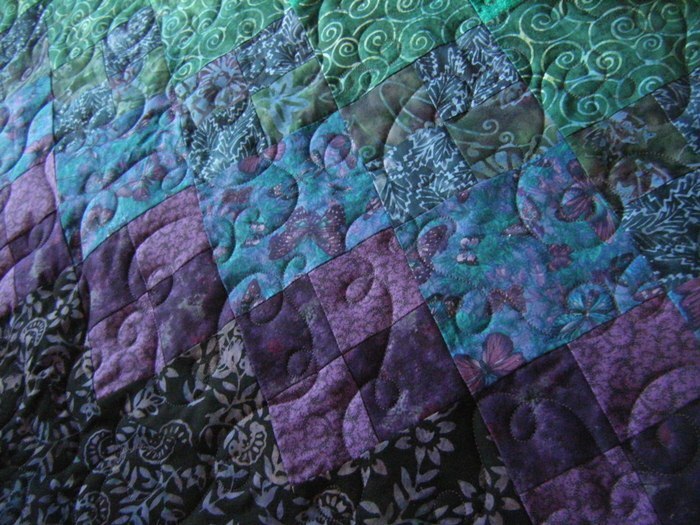 The quilt is 80″ x 100″ so I had a bit of a challenge to get a whole photo of it. The holders were somewhat cooperative this night! E chose an all-over swirl design and we used a lighter thread on the inner sections and a darker thread on the outer sections. Gorgeous! I love the colors in this one!